The recent boom in the natural gas market for the Marcellus Shale region and other gas plays has drawn the attention of contractors nationwide. 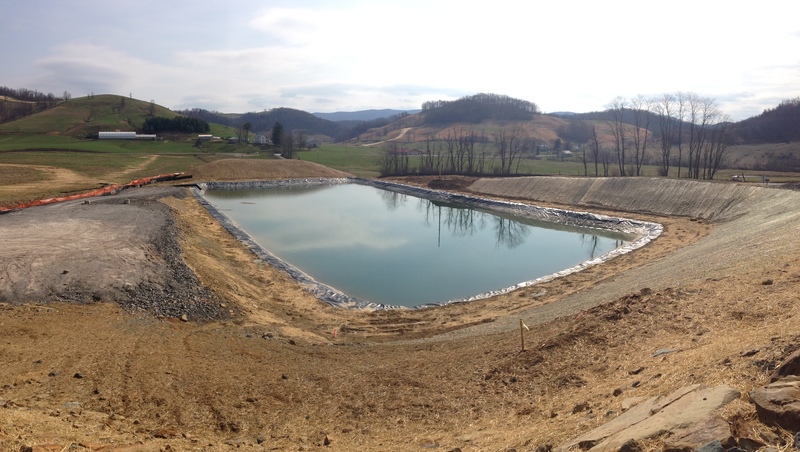 Geomembranes are being used in well pad containment, freshwater impoundments, flowback ponds, among many other applications. As energy producers work to develop this stream of clean domestic fuel, environmental protection is something that is not taken lightly. State environmental regulations are still catching up with the fast growing Oil & Gas industry, but one thing is certain, you need to be dealing with a professional outfit when it comes to containment and selecting a qualified, experienced geosynthetic installation company has never been more critical. Hallaton not only has the know-how to get the job done, but we have the resume to prove it. When selecting an installer for your next project, don’t just settle for anyone. We take pride in our work and look forward to showing you what we can do.